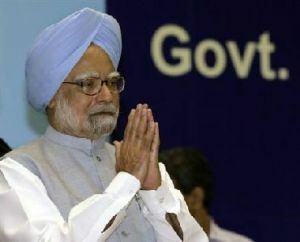 Former Prime Minister Manmohan Singh, who is hailed as the architect of economic reforms in the country, is a member of the Parliamentary Standing Committee on Finance, it was announced on Tuesday. Incidentally, M Veerappa Moily, who was a minister in the Manmohan Singh government, is heading the Committee on Finance, which also has Congress leaders Digvijay Singh and Jyotiraditya Scindia as its members. BJP's Jayant Sinha, the Harvard-educated investor and son of former Finance Minister Yashwant Sinha, is also a member of the Committee so are S S Ahluwalia and Kirit Somaiah of the ruling party. In 1991, Manmohan Singh, as Finance Minister in the P V Narasimha Rao government, had ushered in economic reforms that changed the face of the country. Rahul Gandhi is a member of the Committee on External Affairs, while Congress President Sonia Gandhi does not figure in any of the panels announced. In the last Lok Sabha, Rahul Gandhi had been a member of the Committee on HRD and Sports. Congress leader in the Lok Sabha Mallikarjun Kharge is a member of the Committee on Home Affairs headed by party colleague P Bhattacharya. There has been a host of senior leaders in the Committee on Defence including BJP veteran Murli Manohar Joshi, former Prime Minister H D Deve Gowda and Deputy leader of Congress in the Lok Sabha Amarinder Singh. NCP supremo Sharad Pawar is a member of the Committee on HRD while his party colleague Praful Patel is on the Committee for Industry headed by Janata Dal-United leader K C Tyagi. Former Defence Minister and Congress leader A K Antony is now a member of the Committee on Railways along with party veteran Motilal Vora. BJP veteran L K Advani is a member of the Committee on Information and Technology headed by young Anurag Thakur (BJP). He is also a member of the Committee on Public Undertakings headed by senior BJP leader Shanta Kumar. Former Maharashtra Chief Minister Ashok Chavan is a member of the Committee on Urban Development while former Petroleum Minister Mani Shankar Aiyer is a member of the Committee on Petroleum and Natural Gas. Ahmed Patel, Political Secretary to the Congress President, is also a member of the committee. Trinamool Congress member Sugata Bose, who teaches History at Harvard, is a member of the Committee on External Affairs which is headed by former Union minister Shashi Tharoor of Congress. Supriya Sule of the NCP and Kanimozhi of the DMK are members of the Committee. BJP's Satyapal Singh, who quit as Mumbai Police Commissioner to join politics and defeated RLD supremo Ajit Singh in his home turf of Baghpat in Western Uttar Pradesh, is a member of the Committee on Agriculture. Former Karnataka Chief Minister B S Yeddyurappa of the BJP and Congress General Secretary Janardan Dwivedi, are also members of the committee headed by former Union minister Hukm Dev Narayan Yadav. Samajwadi Party leader Mulayam Singh Yadav is a member of the Committee on Labour while Amar Singh, who was his close associate sometime ago, is on the Committee on Food, Public Distribution and Consumer Affairs. Sachin Tendulkar is a member of the Committee on Information Technology so is Advani. Varun Gandhi, who failed to find a place in Team BJP when Amit Shah took over is also in the Committee along with party members Hema Malini and Paresh Rawal. Young BJP member Anurag Thakur heads the Committee. Rekha, a nominated member, is a member of the Committee on Food, Public distribution and consumer affairs. Non-NDA parties which have got chairmanship include Trinamool Congress member K D Singh (Transport) former Railway Minister Dinesh Trivedi -- also Trinamool --(Railways), BJD member Pinaki Mishra (Urban Development), AIADMK's P Venugopal (Rural Development), Satish Chandra Misra of BSP (Health) and K C Tyagi of JD-U (Commerce and Industry).